I don’t often post naked (that’s pronounced “neck-id” here in the south) photos of myself on the internets, but sometimes a girl’s gotta make a point and drastic measures are required. 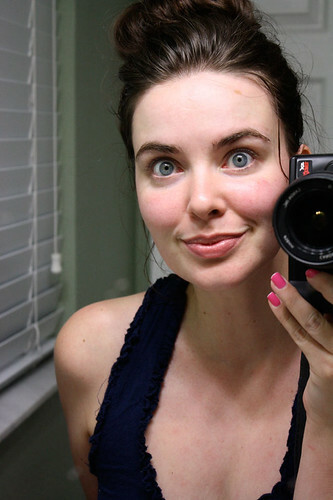 So here it is: un-edited photos of my freshly scrubbed face in all its makeup-free glory. My skin is better than it’s ever been, and I owe it to an online skincare company called Simone France. I’m pretty blessed in the skin department (my mother has an amazing complexion) but it’s really sensitive and I’ve had my fair share of woes, including cystic acne. I’ve dropped big cash on department store brands and tested everything available on a drug store shelf. Everything I tried either irritated my face, or offered instant gratification but led to breakouts after a few weeks. About two years ago, I tossed out all my heavy foundations and cosmetics and drastically simplified my makeup routine (more on that later). It made a huge difference in the health of my skin, but I still couldn’t find my holy grail skincare system to keep my skin fresh and glowy. 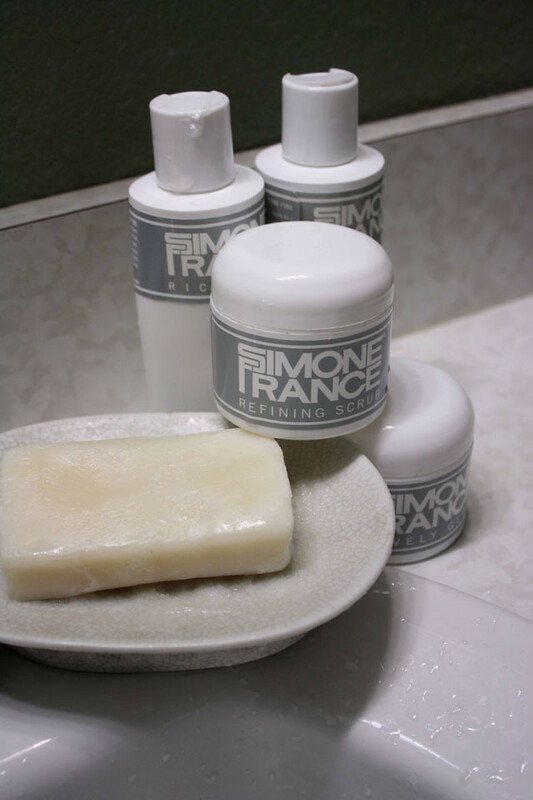 Simone France contacted me about reviewing their line, and after checking out their website and learning more about the brand — which focuses on simplicity, deep pore cleansing, and mild daily exfoliation — I agreed to give it a try. I told them about my skin concerns and my daily routine, and they sent back a detailed product recommendation and step-by-step instructions. I received the products the week of Thanksgiving, and I’ve used them religiously since. The principle philosophy of Simone France is this: it’s all about the way you clean your skin. On their website, they debunk 3 skincare myths and offer gentle, effective products for all skin types. Not sure what system will work best for you? Contact them! They give detailed email consultations to any customer that requests it to help you find the best Simone France products for your skin. I’ll leave you with this final note: Skincare is investment-worthy. I always tell the Mister that it will cost us less in the long run if I use quality products now vs. doing expensive damage-control procedures down the road. And finding a quality line that you know works for you will save you lots of dough in experimental beauty binges. Keep reading for the personalized consultation I received from the ladies behind the brand. Reading it was an Oprah “Ah-ha!” moment for me, and it made perfect sense! Thank you for this information! It does sound like you have pretty good skin, and we can help you maintain a healthy, radiant, younger-looking complexion for a lifetime. There are three very simple changes you can make now that will show you good results today, and pay off big time in the future! I’ll describe them first, then after that is the regimen we recommend for you. 1. You are using a drying form of cleanser and not getting your skin optimally clean. All liquid cleansers, even those with some good ingredients in them, are drying by their nature. It’s just a natural fact of this form of cleanser. And they all leave a thin film behind that builds up every day, further drying and irritating your skin. Finally, it is very important, no matter what products you use, that you wipe them off with a soft, hygienic cloth. For now, if you just wipe off your cleanser with a soft, wet, hygienic cloth, you’ll be doing your face a favor. No amount of rinsing with your fingers will thoroughly and completely remove all traces of product, oil and impurities. And no cleanser of any type will get your skin as clean as a bar of soap — the trick is to get the cleansing benefits of soap with none of the drying side effects that occur when you just use soap and water. Our soap will work where Clinique’s failed you because it’s not just soap and water. That’s what our special Sandwich method is all about. . It’s great that you are using a cold cream and cloth at night, since you need something with a bit of oil in it to dissolve make up and surface impurities at the end of the day. Brava to you! Most women don’t do that and they should! 2. You are using foundation and powder. 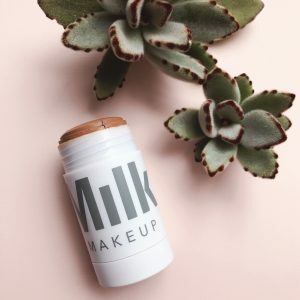 While we understand the appeal of covering up skin problems with foundation and powder, these products actually contribute to the same problems they are designed to cover up. Your skin is never clean with these products on them and they deposit dozens of unnecessary ingredients on your skin. Over time the pigment builds up in your pores and causes uneven skin tone. All foundations are at least a little drying but powder is the worst – it sticks in the pores and is difficult to remove. And one of the purposes of powder is to dry out your skin to give you a matte finish. Finally, unless you clean them after each use, the brushes and puffs you use to apply powder and foundation are not sanitary after the first time you use them, so you end up re-applying previous days make up, oil and impurities. Not a recipe for healthy skin! It’s fine to have fun with make up once in a while for a special occasion, but if you can give up the daily use of primer, foundation and powder, or at least keep them to only special occasions, you will see a big improvement in your skin just from that. The goal of our system is to not need to cover up your skin – and in your case it doesn’t sound as though you have anything to cover up!. 3. Less than ideal exfoliation and lack of daily deep pore cleansing. Next to staying out of the sun, regular, mild daily exfoliation and deep pore cleansing is the most important element for a lifetime of beautiful skin. In your case you are getting your exfoliation from the Olay Brush and sometimes from chemical exfoliants in moisturizers. While facial brushes feel soft, and can feel refreshing when used on your face, they actually cause more problems than they solve. The bristles scratch the surface of the skin and pull at and stretch your pores. And if you don’t clean them thoroughly after each use, just like with make up brushes, you end up re-applying old product and impurities. Chemical exfoliants are also problematic. All chemical exfoliants work the same way, by dissolving the “glue” that holds the skin cells together so they fall off faster than they naturally would, and reveal newer, fresher skin cells below. So basically they work by irritating your skin. But they do not actually clean or remove anything. Many people often see a good result at first, but over time, the daily dissolution of the skin structure causes increasing dryness, redness and sensitivity. And if you combine the brush with the chemical exfoliants moisturizers, this is way too aggressive and will cause problems over time. We offer a healthier alternative, that works in harmony with the natural processes of the skin. Exfoliation is best done very gently, every day. In our system we do this with the Refining Scrub in The Sandwich and with Instant Radiance exfoliating mask. We exfoliate without chemicals and the scrub melts as you add more water so you can adjust it to the perfect texture for your skin. The scrub particles are round and are made to gently clean out the pores without scratching or pulling. It gently removes any dry, dead skin and it will also remove any product or impurity residue that has been building up on your face over time, as well as deep cleaning your pores, which it doesn’t sound like is a part of your regimen right now. Once you start removing the dry skin that’s building up and preventing further build up, and once you really get in there every day and clean out your pores from the powder and the daily accumulation of impurities you will very quickly see smaller pores, a velvety texture, improved tone and firmness, and a bright, glowing complexion. If you are willing to stop what you are doing now and use our system for just a few weeks, you will see and feel the difference the first time you use it and the longer you stay on the system the better and better your skin will become. Every morning clean your face with The Sandwich for Normal to Slightly Dry Skin. Make sure you follow the directions exactly as the method is just as important as the products used. You will be using soap, which will get your skin cleaner than any liquid cleanser, but when used in our unique way it will never dry your skin. The Refining Scrub will gently remove the dry surface that’s built up and deep clean your pores, and you will be wiping everything off with Disposable Cleansing Cloths so nothing will be left behind to dry or irritate or dull your complexion. You won’t believe how fresh and clean your skin looks and feels after washing this way each morning. Moisturize with the same Lovely Glow you used to wash with. Every evening clean your face and remove your makeup (eye make up too) with Rich Milk and Refreshing Toner. Remove both with the same Disposable Cleansing Cloths you used to remove your Sandwich. If you like the cold cream and wash cloth, you’ll love this! Moisturize with the same Lovely Glow you used in your morning Sandwich only if your skin feels dry. We would like to send you the recommended products to try. Please let us know the shipping address. And please let us know if you have any questions. I looked at teh Simone France site after your endorsement and seeing your beautiful skin. The “personalized consultation” is not personal – it is a form based on what you check off. I got exactly the same recommendations as you did. I also have to object to this idea of the disposable cloths being necessary. I just can’t stomach adding that to the landfill every day. There are some rules you can check out on my blog. Off topic, your pink nails have inspired me!! I ran to the store to find a similar bright pop of Pink! Thank you!! Thanks Elizabeth! This one is Essie Mod Square, and lucky for us, Essie is available at most major drugstores now!! Your skin looks amazing! I’ve been looking for a skincare regimen – maybe I’ll give this a try! I always start off with the best skin intentions and then end up going to bed with makeup on. I’m terrible! I want to try this! I have the same problem with products only working for a few weeks. I am really impressed with their assessment. I’ve suffered with deep, painful cystic acne since I was about 12. I actually just finished 8 treatments of Isolaz. I’m definitely going to look into this, thanks so much. Wow, this assessment sounds amazing. I’d be interested in seeing if their ingredients live up to the descriptions they provide. 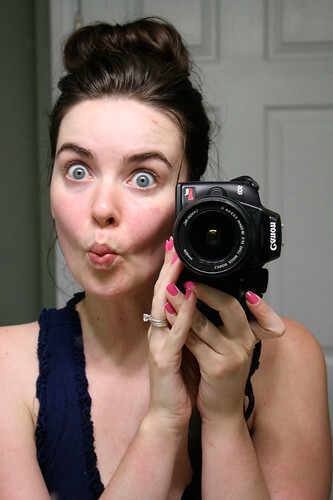 You’re very lucky – looks like you’ve taken care of your skin the right way because you could totally go without makeup! I wonder if these products are made for people with sensitive skin? I have tried just about everything and still haven’t found what works for my skin. Great review. I’m going to check this out. Thank you. Holy crap, you have good skin!! I’m impressed by their detailed assessment. You look amazing. I totally agree, skin care is definitely investment worthy. I was not blessed with great skin (lucky girl!!) so I’ve tried just about everything out there to find something that works. I haven’t heard of this brand so maybe that’ll be my next step. Great review!